Disciple of Vlado Perlemuter and Jean Hubeau, Michel Dalberto has stood out as a master and ardent defender of French music in the course of a 30-year career. His signing to the Apart� label for a series of recordings devoted to Debussy, Faur�, Ravel and Franck marks his long-awaited return to disc. Each episode will be recorded live and accompanied by a video. This first release, recorded on a Fazioli piano at the Teatro Bibiena on 30 May 2015, within the framework of the Mantua Chamber Music Festival, honours Claude Debussy: "Two years ago, near Venice, I played pieces by Debussy on a Fazioli piano, and it seemed obvious to me that this piano provided the ideal sonority for this music made of light and shadow. The idea of recording a recital in a beautiful Italian theatre came as a logical continuation. The Bibiena (from the name of its architect, Antonio Bibiena) in Mantua was inaugurated in December 1769 � Mozart gave a concert there a month later. It is, with the San Carlo in Naples, my finest memory of any Italian theatre where I played." (Michel Dalberto). 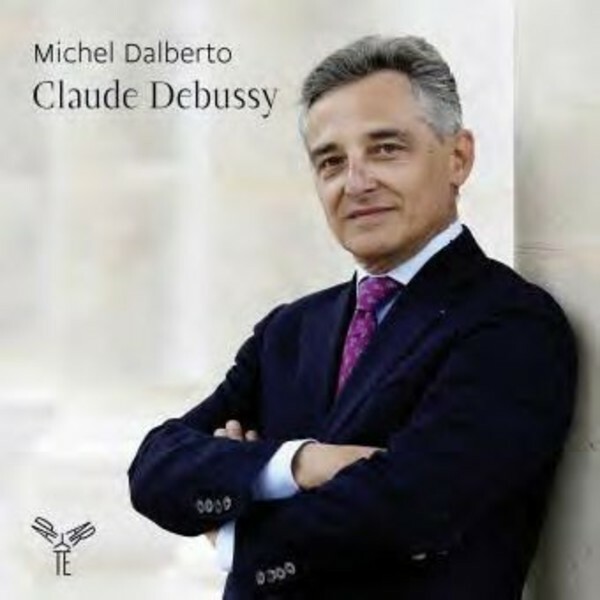 Michel Dalberto first came to prominence when, between 1975 and 1978, he won the 1st Mozart Competition in Salzburg, the Clara Haskil Prize in Vevey (Switzerland) and 1st Prize at the Leeds International Piano Competition (whose previous winners include Radu Lupu, Murray Perahia and Andras Schiff). Born in Paris in 1955, he began the piano at the age of three and a half, and gave his first concert at five and a half. When he was twelve, he was introduced to Vlado Perlemuter, a favourite pupil of the late Alfred Cortot, and entered his class at the Paris Conservatoire where he completed his studies over nine years. He has since performed under the baton of some of the most distinguished conductors, including Sawallish, Colin Davis, Temirkanov, Masur, Gatti and Gardiner, and has been guest of festivals such as Lucerne, Florence, Aix-en-Provence, Vienna, Edinburgh, Schleswig-Holstein, Newport, Miami, Seattle as well as regular visits to Japan, Korea and China. He is the only living pianist to have recorded the complete piano works by Schubert.